The Corinthian Classic Yacht Regatta had 70 yachts participate last year and we expect nothing different this year. Our message is simple: Free mooring space will be limited and will be at a premium the longer you wait to register. This year's Honoree and Featured Speaker will be Sham Hunt, as we celebrate 75 years of Hunt Designs. Last year's fete' honoring Halsey Herreshoff was a sell-out last year, so again, enter now and make your dinner reservations to be a part of this very special evening. 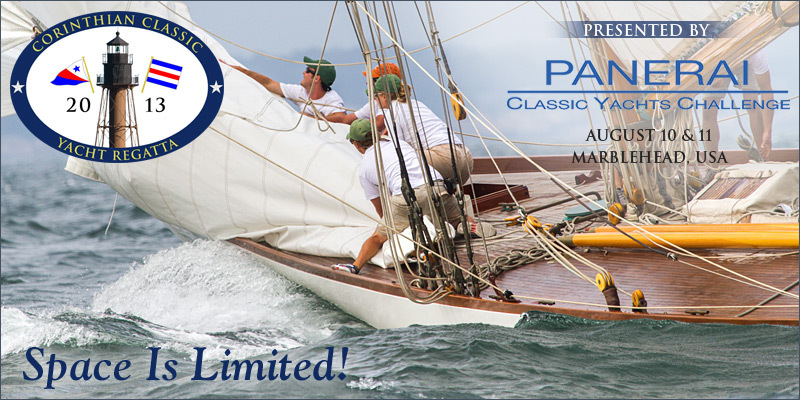 The Corinthian Classic Yacht Regatta (CCYR) - presented by Officine Panerai (www.panerai.com) - celebrates Classic Sailing Yachts. The regatta is for classic sailing yachts of 3 types: Classic Wooden; Classic GRP/Plastic; and Spirit of Tradition.